What is The Device Mesh? 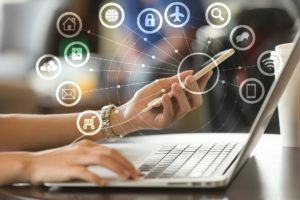 As per the Gartner definition “The device mesh is an expanding set of endpoints—mobile, wearable, consumer, home electronics, automotive and environmental devices, including sensors in the Internet of things, that people and businesses will use to reach applications and information or interact with others”. In today’s world where intelligent interconnected devices are all around us, most human beings are going to be surrounded by data emitting sensors in close concentric loops, which will change the dynamics of communication. These loops create, what we call a Device mesh. Human life is getting increasingly surrounded by smart devices in various forms – iBeacons in shops, accelerometers, finger print sensors in smart phones and sleep sensors in Fitness bands to name just a few. All these devices don’t just connect to the Internet, but also to each other, at least some of them do. A large number of them are actually either collecting data or providing data to us. Highly critical data is being created and transmitted using these devices. IoT sensors are predicted to grow to 6.4 Billion in 2016, which is 30% more than that in 2015. 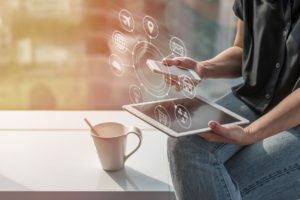 This has the potential for ubiquitous connectivity – a home connected to a car, a car connected to a tablet, a tablet connected to an office server and to a sensor on a person’s body. In such a scenario, the person is always on top of what is happening at his workplace, at his house and even all around him. The device mesh is still an emerging concept and its workings are at present difficult to define. 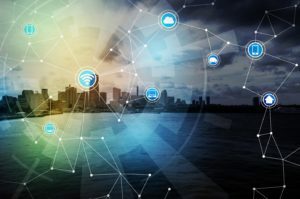 In all probability, its working is going to be akin to any combined set of interconnected devices in an IoT like environment, the only difference being, it will consist of devices directly being used by the consumers. Its working will be largely dependent on what organizations want it to be in a particular situation. An example could befinger print sensors, used for access management and iBeacon technology that allow Mobile Apps to understand their position on a micro-local scale and deliver hyper-contextual content to users based on location. How that interaction will pan out in terms of functionality is limited only by the ingenuity and need of the organizations that want to deploy it. The concept of a Device mesh is evolving as we speak. It is evolving as fast as the technologies supporting it, like sensors, connectivity, integration of technologies on a single platform, the changing nature of work, changes in the way we interact and improvement in standards associated with IoT. With every evolving technology or technology concept come business opportunities and changing regulations. It is a very nascent concept but the infrastructure and supporting technologies are available all around us in patches. It is heartening to note though that Gartner believes the device mesh can have a profound impact on organizations. Surprisingly, the Device mesh will not be an entirely new playing field with totally new actors. Tech giants like Google, Microsoft and Apple are already poised to take advantage in probably the most conceivable scenarios. Projection standards like Android Auto in cars and may be other vehicles like high end bikes, digital smart assistants like Microsoft’s Cortana and Apple’s Siri that we have today in smartphones might just be embedded or loaded in car dash boards and bike windshields. These make it possible to automate manual tasks such as taking notes for e-mails, taking directions from the driver or the rider, interacting and conveying meaningful instructions to a washing machine or a fridge (read white goods giants like Bosch, Samsung, Whirlpool) to carry out fairly routine tasks. In addition, there is an improved possibility for monitoring as people at home might be able to monitor how fast their loved ones are driving by checking their speed from home. A smart fridge may be able to sense a block of cheese or yoghurt diminishing and place a new order through Amazon with a simple validation through the car dashboard while the owner is driving to work. The device mesh will be able to enable all the possibilities mentioned above and help in monetizing them. The device mesh will also change the nature of applications. Gartner Vice president and fellow David Cearly states that the device mesh will enable the creation of a different level of seamlessly advanced experience for the consumer that will flow across and exploit different devices, including IoT sensors and common objects such as automobiles, or even the factories they are manufactured in The term ”immersive user experience” will start taking on a different meaning altogether in terms of its manifestation and its effect on the consumer. The focus will move away from the standard stock mobile applications to mobile applications that connect in more dynamic, intelligent ways. 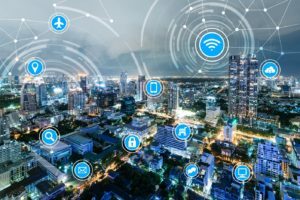 The evolution of Device mesh will be creating tremendous opportunities in terms of extending targeted reach to customers and the ability to influence them. 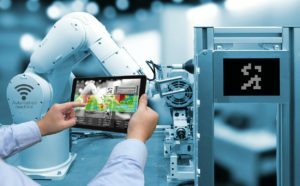 We haven’t started hearing much about the device mesh and there is certainly much more to come when businesses will be more successful in integrating technology advancements like wearables, IoT and smart cars seamlessly to create business value. 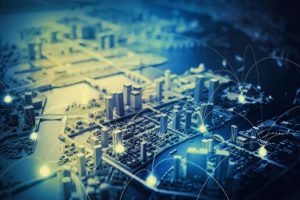 The device mesh is still a nascent concept and the exact extent of its capability will be visible only in the next couple of years, when we start witnessing its widespread application. This, however, could be the harbinger of the post-app future where we will all be surrounded by a hyper active mesh of smart devices relaying different types of data that will change the way we see the world around us, may be irrevocably.